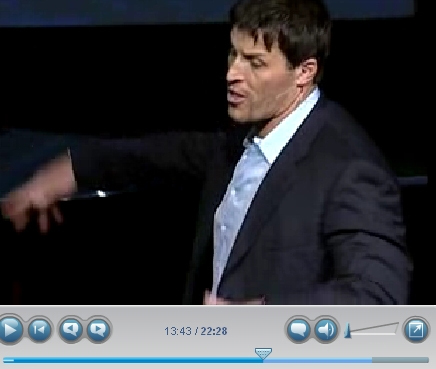 The best example of a "power" move I got from Tony Robbins. Usually when we are in a "less than motivational" state, we tend to be in a bad posture also. So whatever I am doing, I abruptly sit or stand up straight, breathe in deeply, picture myself moving through the action right then, and follow up immediately with doing it. Our minds can only hold one thought at a time, so we can make it a positive constructive one. And our physiology is directly anchored to our mental state, and vice versa. You are probably well acquainted with his strategy but I share it for others that may not be. Power moves are specifically personalized with whatever moves the individual. Whatever moves me may not move anyone else.